Hailing from Cianjur City, Indonesia, guitarist, singer, and songwriter Fredy Sutrisno returns to the music world with his second album entitled Praise The Lord. Sutrisno has an unprecedented creative genius and uses his musical talents as a tool in bringing praise and honor to the Most High. As a career photographer, Sutrisno is able to take the visual tapestry of life and convert these impressions into melodies for all. His new album Praise The Lord perfectly reflects the songster’s musical genius and love for his faith. Praise The Lord is not only a tremendous album but should prove to be a work that has major academic value. The album consists of twelve tracks. Refreshingly, Sutrisno is an artist that selflessly puts his all into everything he does. Praise The Lord comes to life as Sutrisno’s melodic labor of love. This album possesses a cultural richness that can be appreciated by people from various walks of life. 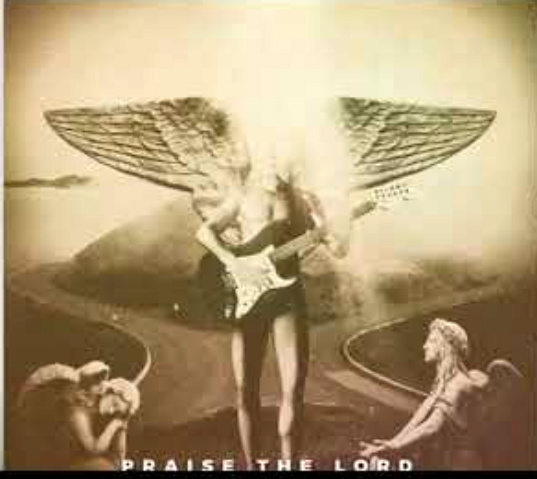 The Praise The Lord album begins with the track Tuhan Allah Yang Menyelamatkan Aku, which translates from Indonesian into the English phrase Lord God Who Saved Me. This is a very compelling song by Sutrisno that is contemplative in its delivery. Tuhan Allah Yang Menyelamatkan Aku opens with a simple melodic precursor of piano, strings, and Sutrisno’s voice. The song rapidly evolves into an impressive rock symphony that acts as a heavenly gatekeeper for what is to follow. Free is an album gem. This is a song that holds the concept that Jesus set humanity free by means of his ransom sacrifice. Although Free’s message is set in scripture, its musical echelons find a home in the classic rock music genre. Menggapai Impian means Achieving Dreams in English. It is the third track on the Praise The Lord album. The song’s instrumentation and Sutrisno’s performance is truly memorable. Glorious Day feat. Sandra Bullet follows as it brandishes Sutrisno’s skills as a songwriter. The tune comes with a fair share of industrial rock influences and a guitar riff that adds to the lucidity of the track. Glorious Day is a hard-hitting song that quickly becomes a listener’s favorite. Agape is the title of the fifth track on the Praise The Lord album. Sutrisno slows things up a bit with Agape. This tune is set at a slower pace than the previous material reviewed. Agape is a Greek term that can best be defined as godly love. Sutrisno does a good job in bringing this light of love to the fore with some excellent guitar playing. Sutrisno takes a completely organic approach to Tuhan Gembalaku, which means God is My Shepherd in English. Acoustic guitar and some stupendous drumming make Tuhan Gembalaku shine like a diamond. The exhilarating My Best Friend is a charming song that promotes the theme of godly devotion. My Best Friend is another tune that displays Sutrisno’s capabilities as a guitarist. Things switch to a slower pace with Jadikan Aku Indah. The song’s title can be loosely translated as meaning Make Me Beautiful. Jadikan Aku Indah is a beautiful ballad by Sutrisno that really warms the heart. Blessed Is The Man Who Trusts In The Lord is another album jewel. The track is a portal to another dimension. Sutrisno’s guitar has a voice of its own. This song is followed by the clever W.W.J.D, which is an abbreviation for what would Jesus do. Sutrisno scores on this track with a great hook, but basically let the music speak for itself. Fear Of The Lord has all the trimmings of a lovely psychedelic rock fiasco. Sutrisno’s vocals dominate this song with its simple but well-defined message that questions where we put our reverence and in whom. Sutrisno concludes the Praise The Lord album with Holy Is The Lord. This thought-provoking song is gentle in its approach, yet filled with an impactful lyricism that is of great encouragement to us all. Praise The Lord by Fredy Sutrisno is a masterpiece. Each song on the album is a pillar of devotion and highly entertaining for devotees of the Christian creed and people with strong spiritual values. This is one of the rarest productions that I’ve reviewed that successfully incorporates good music, good song structure, and excellent vocalization. Praise The Lord is sonic proof that God is good. Amen!